An original novella featuring the Third Doctor and Jo. Perihelion Night on the wooded moon Verd. A time of strange sightings, ghosts, and celebration before the morn, when Lord Esnic marries the beautiful Lady Ria. However Ria has other ideas, and flees through the gravity wells which dot the moon to meet with her true love Tonio. When the Doctor and Jo arrive on Verd, drawn down by the fluctuating gravity, they find themselves involved in the unpredictable events of Perihelion. But what of the mysterious and terrifying Nightdreamers? And of the Nightdreamer King…? This deluxe edition is limited to 1,400 copies and signed. 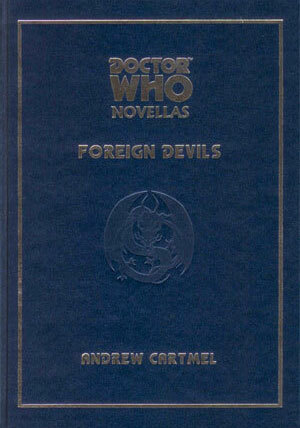 An original novella featuring the Eighth Doctor. Unsettling things are afoot in a sleepy Cornish village. Strangers are hanging about the harbour and a mysterious object is retrieved from the sea bed. Then the locals start getting sick. Could this have anything to do with the alluringly beautiful Ruth who local lifeboatman Steve has taken a shine to… or could the other stranger, a man calling himself the Doctor, be somehow involved? And why is Ruth both drawn and terrified by the sea? The Doctor is perhaps the only person who can help, but can he discover the truth in time…? This deluxe edition is limited in number and signed. An original novella featuring the Sixth Doctor and Peri. 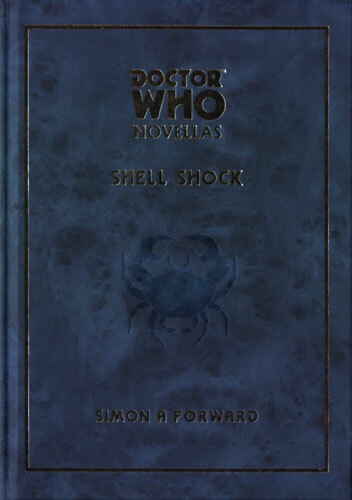 The Doctor is washed up — literally — on an alien beach with only intelligent crabs and a madman for company. How can he possibly rescue Peri who was lost at sea the same time as he and the TARDIS? But Peri has problems of her own. “Rescued” from drowning by an intelligent sponge growth, she has been adopted by the life form as its own personal God. 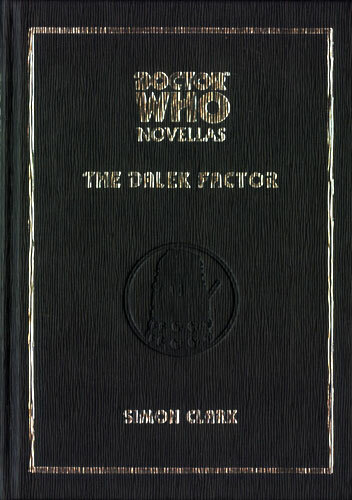 As the denizens of the beach come under increasingly vicious attack, the Doctor must discover the truth in time to save all their lives… This deluxe edition is limited in number and signed. From his beginnings as a crotchety, anti-heroic scientist in 1963 to his current place in British pop culture as the mad and dangerous monster-fighting saviour of the universe, the titular character of Doctor Who has metamorphosed in his 50 years on television. And yet the questions about him remain the same: Who is he? Why does he act the way he does? What motivates him to fight evil across space and time? The Doctors Are In is a guide to television’s most beloved time traveller. This is a guide to the Doctor himself — who he is in his myriad forms, how he came to be, how he has changed (within the program itself and behind the scenes) … and why he’s a hero to millions. 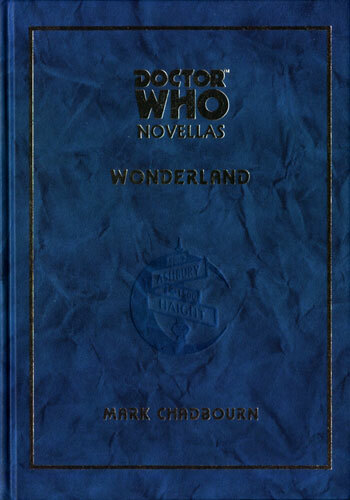 An original novella featuring an unspecified Doctor and the Daleks. When a Thal platoon arrive on a hostile planet investigating reports that Dalek artefacts have been detected, they are unprepared for what they find. In an underground room is a stranger, a Professor, or so he claims, with no memory of who he is or why he is there. With death and horror their only companions, the Thals make their way with the Professor into the heart of a crumbling Dalek citadel in search of answers… only to find that the Daleks are the least of the horrors they must face… This deluxe edition is limited in number and signed. 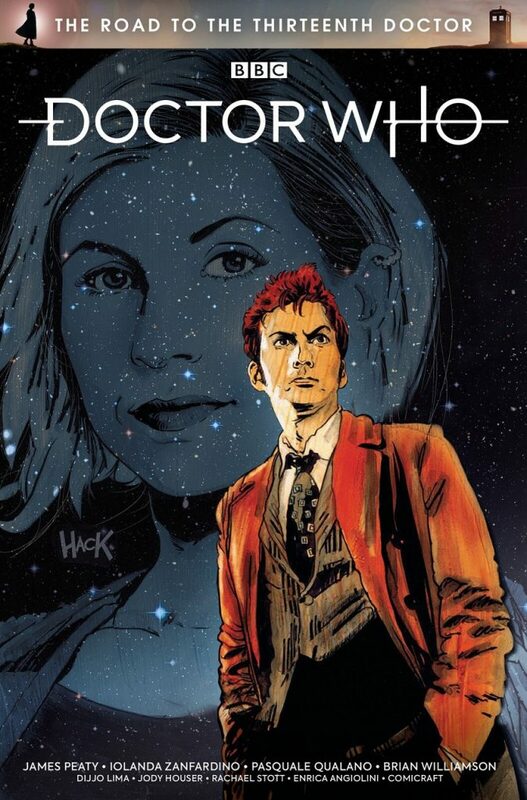 Don’t miss this collection of adventures featuring the Tenth Doctor and his companions, originally published by IDW Publishing and now reprinted by Titan Comics. Combined in one volume, this collection includes a fantastic cover gallery, showcasing the covers from the original issues including stunning art by Tommy Lee Edwards. Featured stories include: The Whispering Gallery, The Time Machination, Autopia, Cold-Blooded War, Room with a Déjà View, Black Death White Life, and Fugitive. Inhabiting a colony spaceship in the thirty second century are members of a religious cult which left Earth to find a world of their own. Their leader, Seraph, has downloaded his mind into the ship’s computers, but now he has gone silent, enticed and serenaded by a siren song coming from inside a black hole. 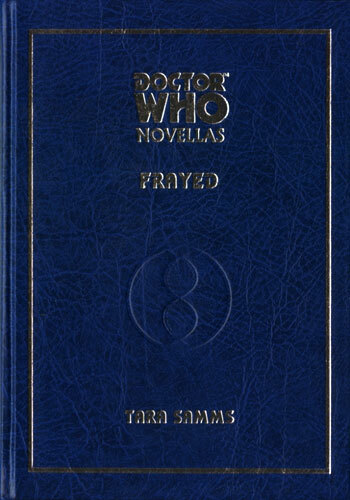 Trapped in orbit around the void, Seraph’s followers are confused by his silence, and when the Doctor arrives, he finds a world on the brink of chaos… This deluxe edition is limited in number, signed and contains a foreward by Neil Gaiman. A collection of Twelfth Doctor comics, featuring Bill Potts, Nardole and Missy. The TARDIS lands on a deep-space transporter where a Weeping Angel is on the loose. Faced with a desperate situation, the Doctor has no choice but to call on an old friend for help… but can Missy really be trusted? 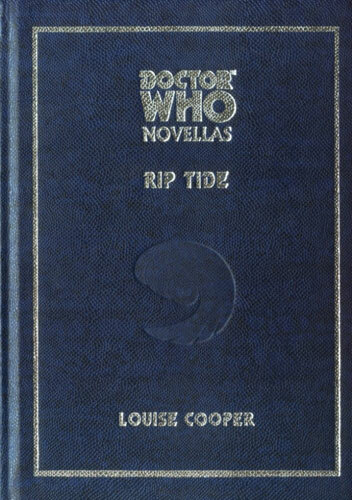 An original novella featuring the Second Doctor, along with his companions Ben and Polly. San Francisco 1967. A place of love and peace as the hippy movement is in full swing and everyone is looking forward to the ultimate festival: the Human Be-in. Summer, however, has lost her boyfriend, and fears him dead, destroyed by a new type of drug nicknamed Blue Moonbeam. Her only friends are three English tourists: Ben and Polly, and their mysterious guardian and friend the Doctor. But will any of them help Summer, and what is the strange threat posed by the Blue Moonbeams…? This deluxe edition is limited in number and signed. 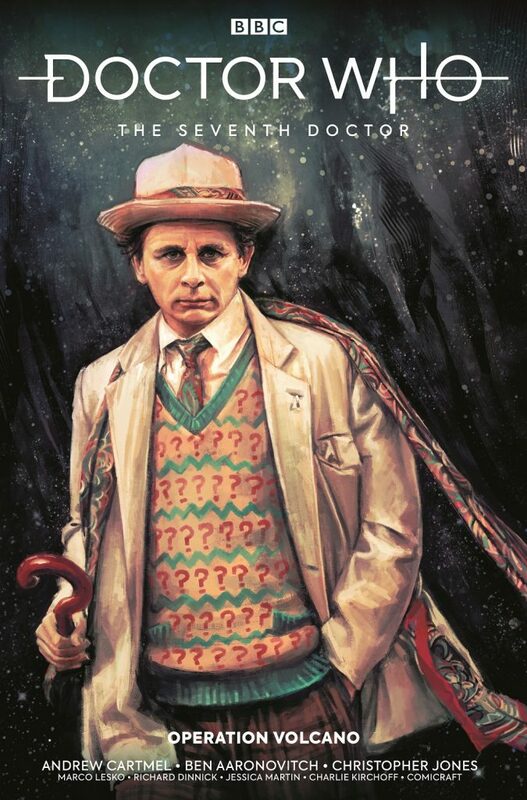 The Seventh Doctor makes his full-length Titan comics debut, joined by fan-favourite Ace along with Rachel, Allison and Group Captain Gilmore of the Counter-Measures team, last seen on screen in the classic Remembrance of the Daleks. The Doctor, Ace and the Counter-Measures team are holed up on the remote plains of the Australian desert. But what is the true agenda of the traitor in Gilmore’s ranks? What sacrifices will Ace have to make for the sake of the future? And what connects the events of 1967 with an unidentified spacecraft orbiting the Earth in 2029…? With writing duties handled by Seventh Doctor veterans Andrew Cartmel and Ben Aaronovitch, this new adventure should have plenty of authentic touches harking back to one of the most interesting periods in the programme’s history. 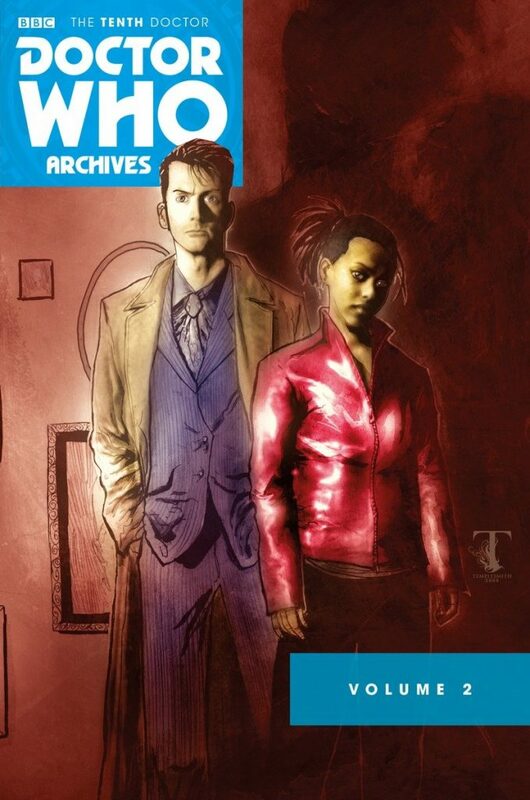 The Tenth Doctor is joined by comics companions Gabby Gonzalez and Cindy Wu, the Eleventh Doctor is accompanied by comics creation Alice Obiefune and the Twelfth Doctor is joined by TV favourites Bill Potts and Kate Stewart. The Tenth Doctor lands on a lost spaceship – and right into trouble, the Eleventh Doctor runs into robots on the streets of 19th century San Francisco and the Twelfth Doctor encounters pterodactyls at Piccadilly Circus. Meanwhile, something is emerging that will impact the Doctor in their Thirteenth incarnation… Starring Titan Comics’ ongoing Doctors (soon to be joined by Jodie Whittaker’s incarnation), each in their own standalone adventure, and featuring a tease of what’s to come from the Thirteenth Doctor’s own comics adventures, this collection should make for an ideal introduction to the world of Titan’s Doctor Who comics. Originally published by IDW Publishing and now reprinted by Titan Comics, this collection follows the first 11 incarnations of the intrepid traveller on an epic adventure as they explore time and space with fan-favourite companions, and comes face to face with some of the galaxy’s deadliest foes! 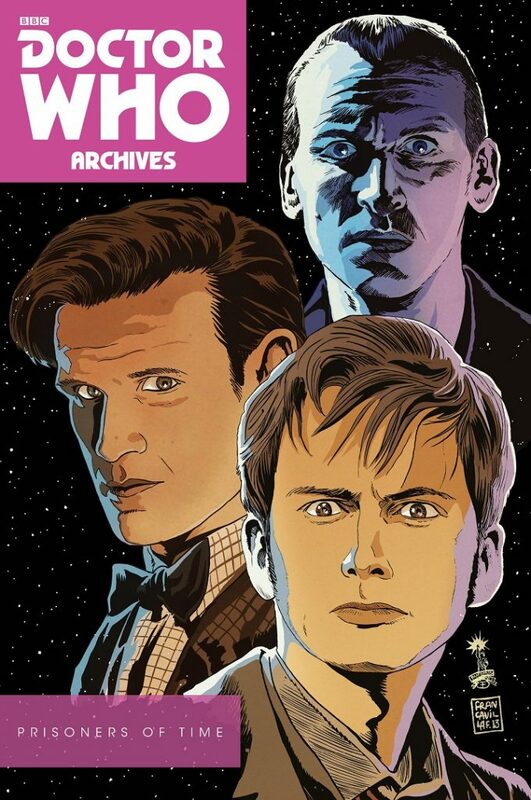 Featuring the complete Prisoners of Time story arc, as well as a stunning cover gallery, this is a must-have addition to any Whovian’s Doctor Who collection! 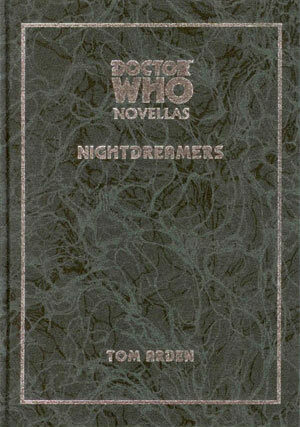 An original novella featuring an unspecified Doctor and introducing Honoré Lechasseur and Emily Blandish, who went on to star in the ‘Time Hunter’ series of novellas. Where is the Doctor? Everyone is hunting him. Honoré Lechasseur, a time-sensitive “fixer”, is hired by mystery woman Emily Blandish to find him. Lechasseur discovers that the Doctor is, in fact, a semi-mythical figure who has appeared off and on throughout Earth’s history. But what is his connection with London in 1949? 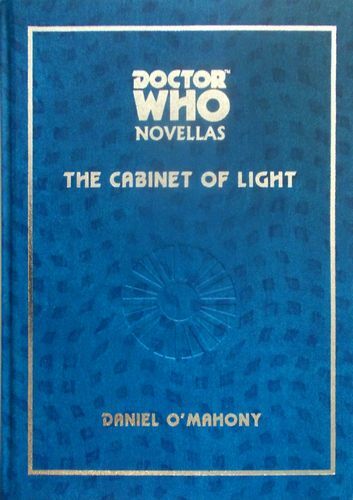 And why is a mysterious group seeking the “cabinet of light” — a device somehow connected with the Doctor? Lechasseur is about to discover that following in the Doctor’s footsteps can be a difficult task… This deluxe edition is limited to 800 copies and signed. 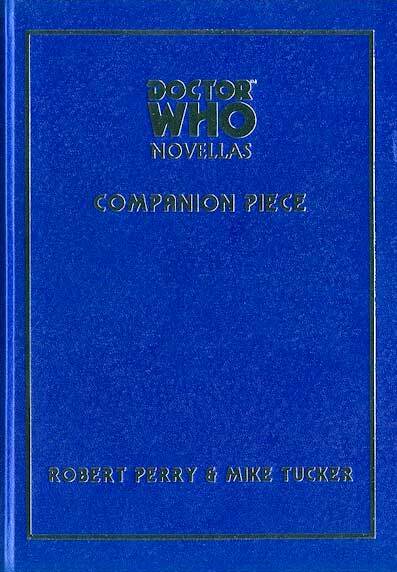 An original novella featuring the Seventh Doctor, along with his companion Catherine Broome. Escaping from one battle and straight into another, the Doctor and his companion, Catherine, find themselves on a far flung world where time travellers are persecuted as witches and warlocks by the Papal Inquisition. The Doctor is arrested, his only hope of escape being Cat, but she has demons of her own to face, and as the Doctor starts to realise exactly what is happening, so time rapidly starts to slip away for both him and Cat… This deluxe edition is limited in number and signed. In ancient Akrotiri, a young girl is learning mysteries from a tutor, who, quite literally, fell from the skies. With his encouragement she can fly and surf the timestreams and see something of the future. But then the demons come. Death and disaster are meted out by the Gods of her land. Perhaps retribution for some heinous crime… or something far more sinister…? This deluxe edition is limited in number and signed by the authors. 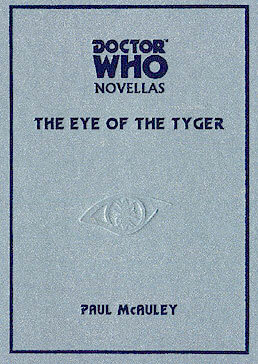 An original novella featuring the Second Doctor, along with his companions Jamie and Zoe. China, 1800, and the Doctor, Jamie and Zoe arrive at the English Trade Concession in Canton. A supposedly harmless relic known as the Spirit Gate becomes active and whisks Jamie and Zoe into the future. The Doctor follows in the TARDIS and arrives in England, 1900, where the descendents of an English merchant from 1800 are gathering. Among their number is a young man called Carnacki, an expert in all things mystical, and before long he is helping the Doctor investigate a series of bizarre murders in the house. The spirits of the past have returned, and when the Doctor discovers that the house and surrounds have literally been taken out of space and time, he realises that their attacker may not be all they seem… This deluxe edition is limited to 800 copies and signed. An original novella featuring the First Doctor and Susan. On a blasted world, the Doctor and Susan find themselves in the middle of a war they cannot understand. With Susan missing and the Doctor captured, who will save the people from the enemies from both outside and within…? This deluxe edition is limited in number and signed. 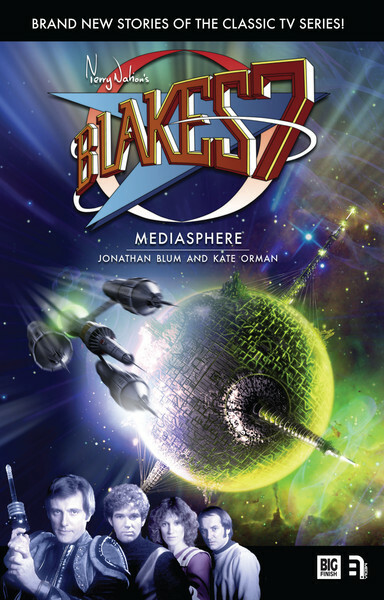 An adventure set during Series 3 of the classic sci-fi series, written by Jonathan Blum and Kate Orman. The Liberator crew infiltrate the Mediasphere, a space station which produces the Federation’s propaganda and popular entertainment. But who is really controlling the Mediasphere – and scripting a series of deadly encounters for our heroes? 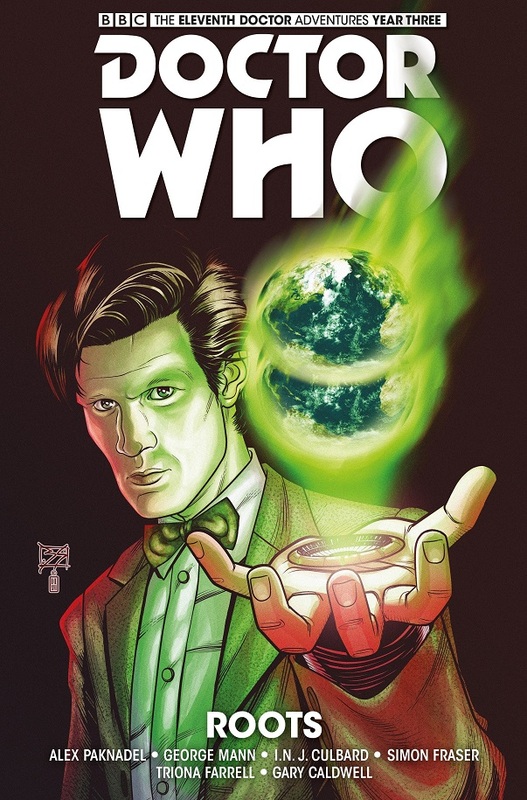 A collection of Eleventh Doctor comics, featuring original companion Alice Obiefune and the Sapling, a mysterious being that the Doctor and Alice helped create. The search for the TARDIS crew’s missing memories takes them on a mind-bending journey from the tomb of an ancient race adrift in space to a quaint village fete – but the Doctor has a nagging feeling that they are being followed… The latest storyline from George Mann (Engines of War) promises much of the strong characterisation and oddball charm that has made the Eleventh Doctor comics such a success. The fledgling TARDIS team, with the Doctor and Alice taking a kind of parental responsibility for the Sapling, should provide an interesting new dynamic. The first year of the Twelfth Doctor’s Titan Comics adventures collected in one bumper-size volume, featuring Clara and Kate Stewart. From 1960s Vegas to India in the 24th century to the corridors of Coal Hill School, the Doctor and Clara encounter all the weird and wonderful things that come with travelling in the TARDIS, including cyborg cephalopods, a suburban Dad from another dimension and an ancient enemy of the Time Lords… Faithfully recreating the TV dynamic of the Twelfth Doctor and Clara and full of familiar elements made new, this volume makes a very accessible starting point for anyone looking to dip their toe into the comics of the Whoniverse!